Lex Janes serves as the Legislative Affairs Director for the North Carolina Department of Commerce. 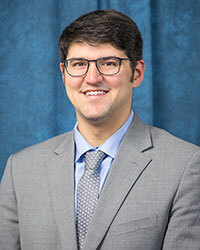 Lex's appointment began in April 2019, following work in a similiar position for the North Carolina Department of Natural & Cultural Resources (DNCR). In his role, Lex serves as the primary liaison between the Department and the North Carolina General Assembly. Following graduation holding double majors in Political Science and Psychology from the University of North Carolina at Chapel Hill, Lex’s career began in Pittsburgh under the guidance of then-City Councilman Bill Peduto, who was elected Pittsburgh's mayor in 2013. After the mayor's inauguration, Lex led the City’s newly-created Office of Community Affairs for most of Mayor Peduto’s first term. As Community Affairs Manager, Lex worked with state legislators and city councilors, as well as neighborhood organizations and advocacy groups, to address ongoing challenges in Pittsburgh and to communicate how proposed initiatives and legislation would benefit city residents. Lex returned to North Carolina in 2017. Lex was named Legislative Affairs Director for DNCR in February 2017. While at DNCR, he advocated for North Carolina’s cultural, historical, and natural resources as the liaison between DNCR and the legislature. During this time, Lex was instrumental in efforts to conserve North Carolina's land and water through the passage of multiple bills that granted additional protections to more than 12,500 acres throughout the state, including the authorization of three new additions to the State Parks System. Lex also represented DNCR during the development and launch of Hometown Strong, Governor Roy Cooper’s initiative to form partnerships, leverage resources, and increase economic opportunity in rural North Carolina communities.